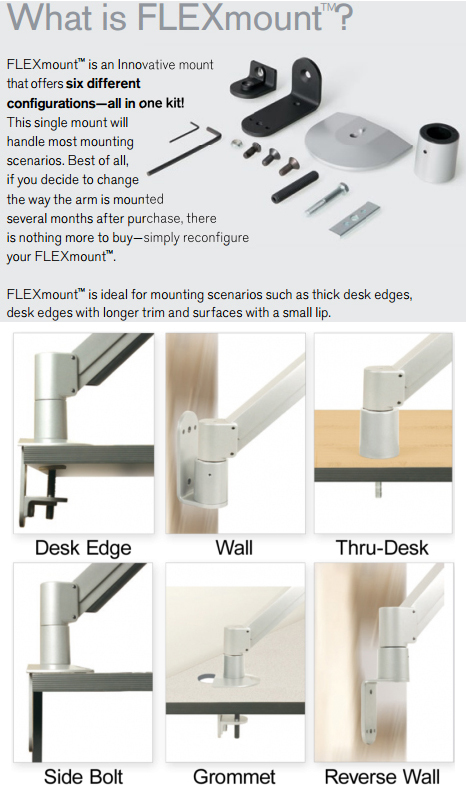 Check your monitor weight for these arms: 7500-1000, monitor up to 18 lbs - 9110-8.5-4, monitor up to 13 lbs; Please add the weight of the keyboard , the keyboard tray and the monitor in choosing the right arm. 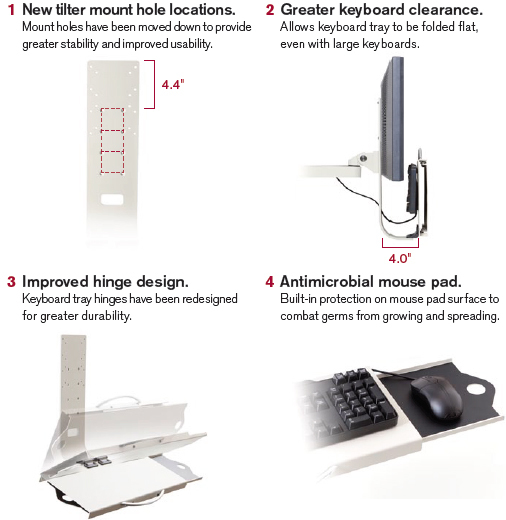 Innovative 8209 flip-up keyboard tray folds flat against monitor to conserve space when not in use. Adjustable mouse tray suitable for use by left- or right-handed users. Accommodates 100/75mm VESA monitors.